There are 2 ways to delegate an integration configuration task for an application. Delegating the integration configuration at the time of creation i.e. delegating the integration agent to a user when adding an application to your catalog. Delegating an integration configuration after the fact i.e. adding an application to your catalog and delegating to a user at a later date. 3. When adding a new app, on the "Add Integration" screen, choose the option: "I would like to assign adding authentication information to another member of my organization." 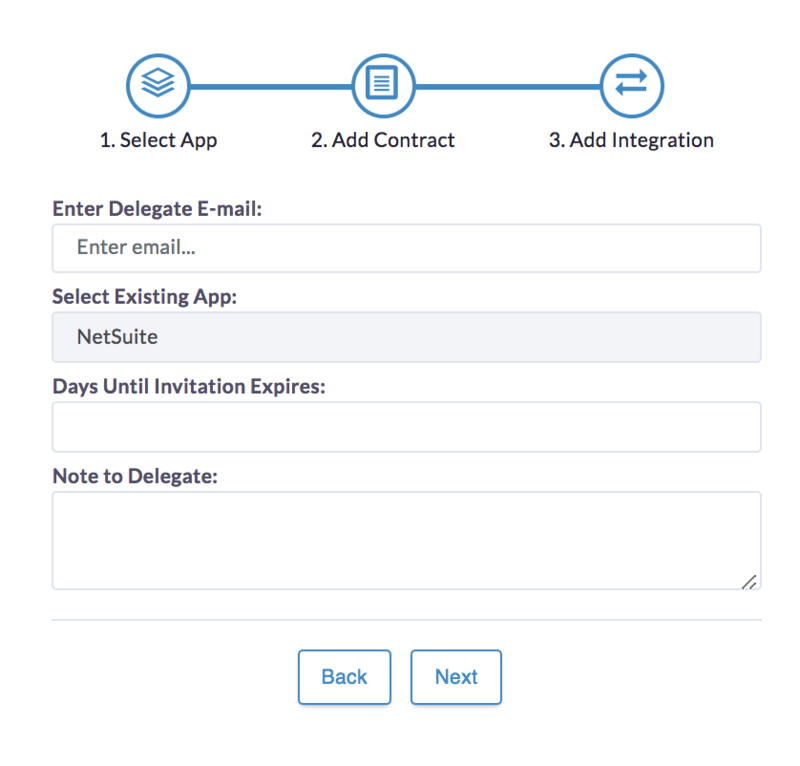 Delegate E-mail: The email of the user you would like to assign this contract to. If they are a current SaaS Manager User, they will get a task notification. If they are new users, they will get a registration email. Days Until Expiration: This is the number of days the user will have to complete this task. Note to User: Any notes you feel need to be conveyed to the user assigned the integration. 2. 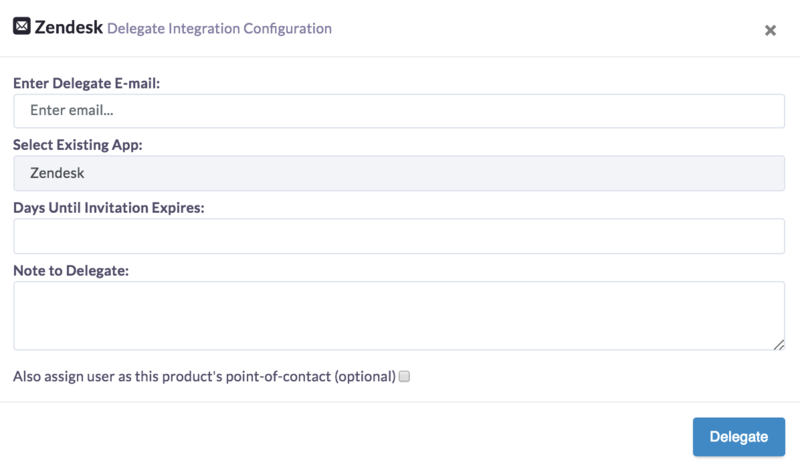 From the "Catalog" screen, find the app with the integration configuration you wish to assign. 3. Click on the app to view "Product Details". If the integration is not authorized, you will see a red (!) next to "Integration Agent" at the top of the screen. 4. Within the "Integration" tab, if no agent has been added, you will see: "Warning: An integration agent has not been set up for this product. You can SETUP the integration or DELEGATE the setup to a team member."